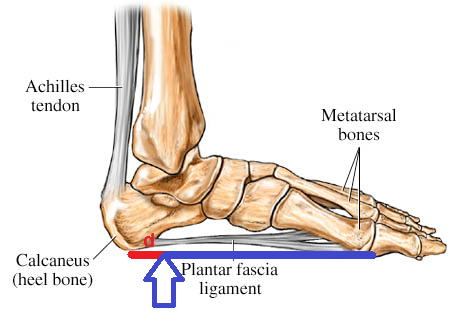 Fascial loading with a rearfoot strike. The length of the red lever with a heel strike, is far shorter, resulting in significantly less torque applied to the sensitive insertion point. Image courtesy of WebMd.com, amended by Joe Uhan.